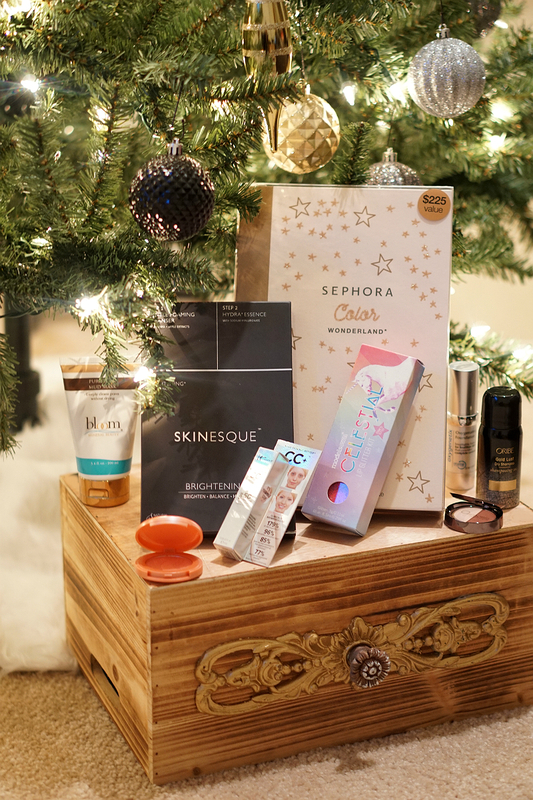 If you’re shopping for holiday gifts for the women in your life, look no further than this holiday beauty gift guide. We’ve got you covered, whether you’re buying holiday gifts for gals in their 20’s, 30’s, or 40’s. From celestial face glitter (that’s perfect for wearing to music festivals and for looking radiant on NYE) to deluxe anti-aging skin care treatments that boost hydration, softness, and suppleness, here are some of the best beauty gifts we’ve found for gals of different ages. Gals in their 20’s love playing with the newest beauty trends and hottest makeup techniques. From festival-worthy face glitter (that’s perfect for trips to Coachella or Lollapalooza) to inspiring rainbow-colored makeup palettes that make getting dolled-up even more fun, here are the best beauty gifts for women in their 20’s. 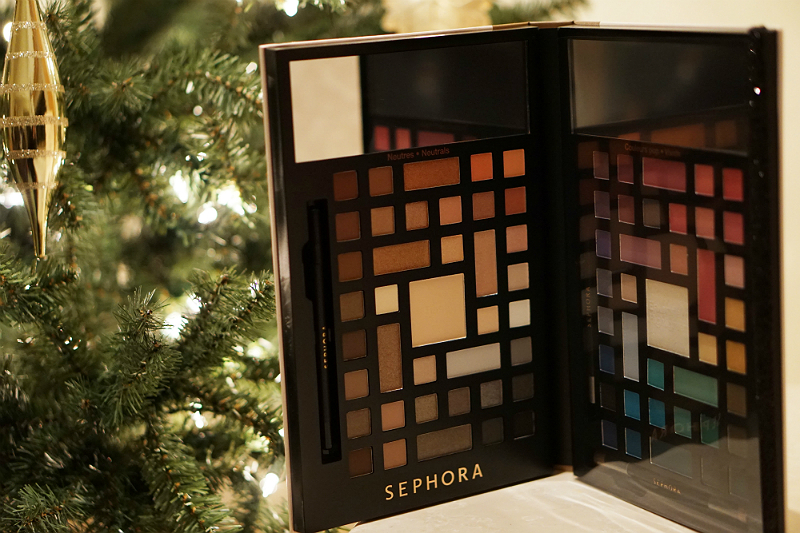 Sephora Collection Color Wonderland Eye Palette ($39): This mesmerizing display of neutral and jewel-tone eyeshadow colors is a sight to behold. From shimmering hues to candy-colored shades, this delightful eyeshadow palette (valued at $225) is a must-buy for gals who love changing their makeup every day. 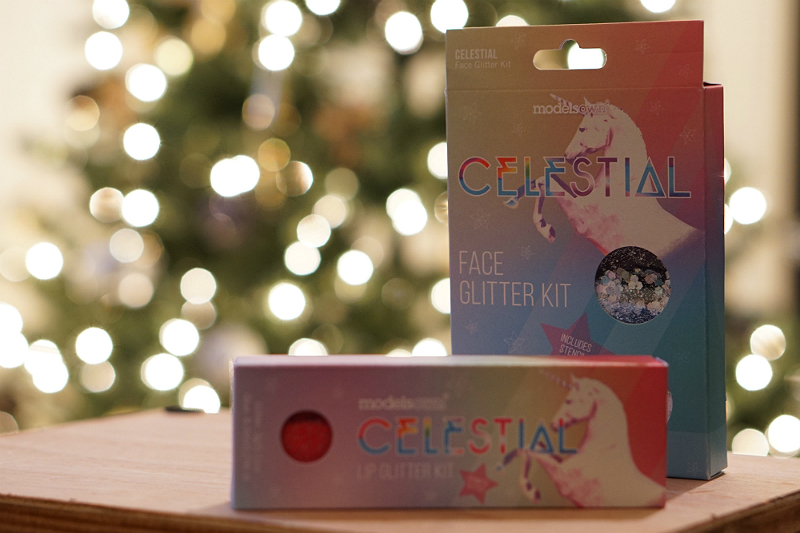 Models Own Celestial Face Glitter Kit ($15) & Lip Glitter Kit ($15): Every gal needs a little sparkle in her life! To help your favorite 20-something shine bright like a diamond, this Unicorn-inspired face glitter kit and lip glitter kit will brighten up her holidays. This dazzling glitter makeup takes festival-goers to another stratosphere with high impact glitter that’s a total must-have for festival beauty. 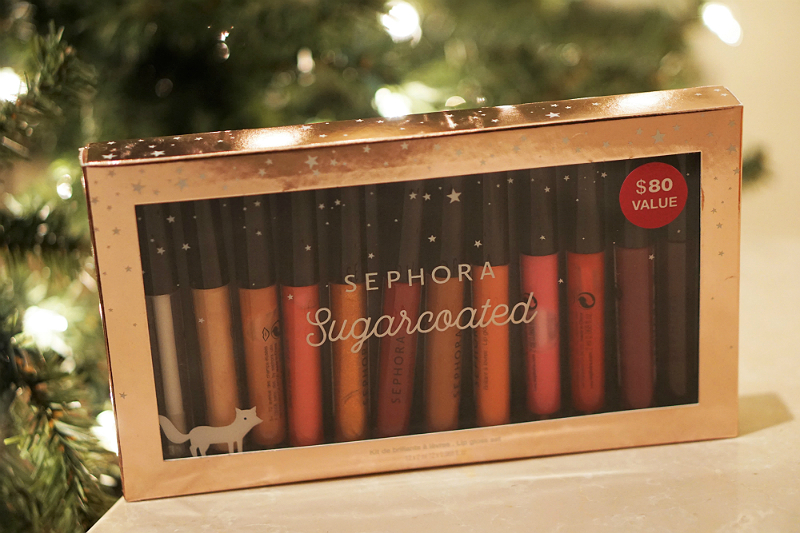 Sephora Collection Sugarcoated Lip Glosses ($29): Pucker up gals, this gorgeous set of lip glosses will give any woman the confidence to find a kissing partner and some Mistletoe this time of year. This stunning set contains 12 lip glosses in universally flattering colors, including deep shades, festive berries, and creamy nudes. As a woman moves into her 30’s, her beauty priorities change. If she’s smart, by now, she’s regularly using effective skincare treatments (to boost radiance, minimize fine lines, and proactively doing anti-aging skincare). From mineral beauty body treatments to brightening skin masks, here are a few of the must-buy beauty gifts for 30-something gals. 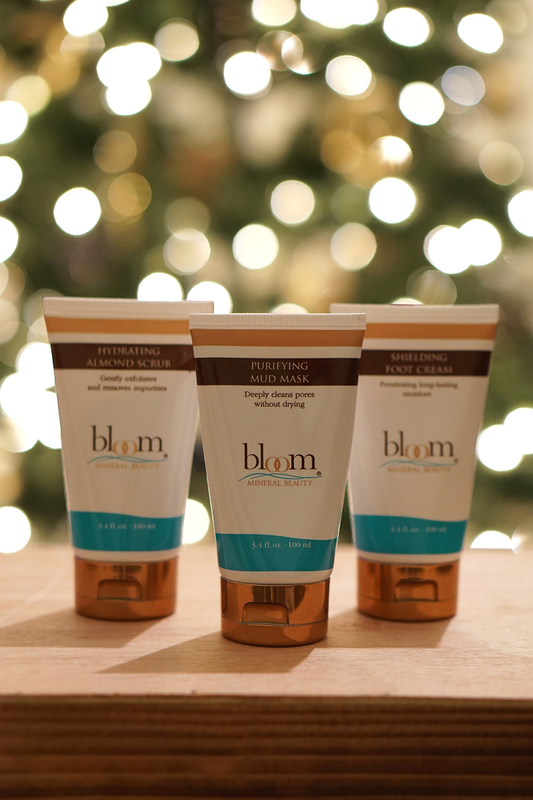 Bloom Mineral Beauty Skincare Trio ($53): This set of paraben-free, GMO-free, and petroleum-free skincare products gently exfoliates, deep cleans, and moisturizes skin, leaving it feeling soft and supple. Including a hydrating almond scrub, purifying mud mask, and shielding foot cream, give the gift of natural beauty this holiday with products that harness the power of Dead Sea minerals. 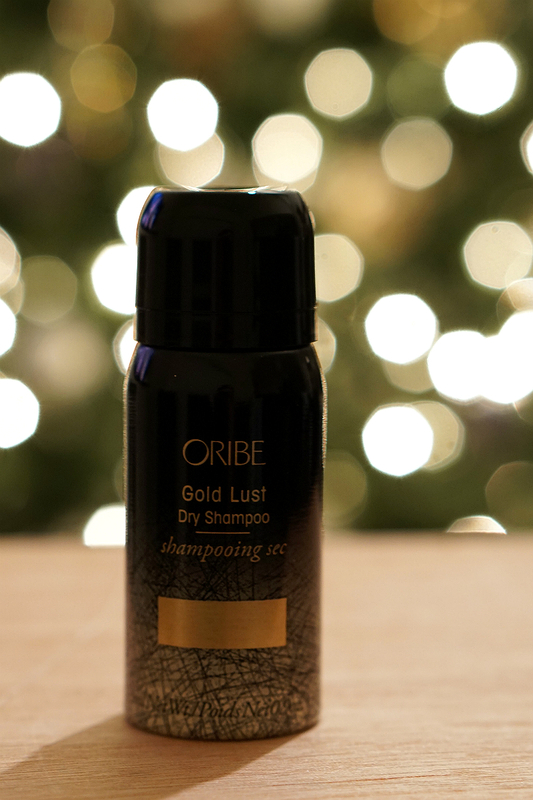 Oribe Gold Lust Dry Shampoo ($22): Every busy gal has those days when she has virtually no time to do her hair. To make life easier for the 30-something in your life, this luxurious dry shampoo spray is the ultimate beauty gift. Extend the look of a blowout and prevent damage with this transformative dry shampoo that boosts volume, saps oil at the roots, and makes hair look salon-styled. 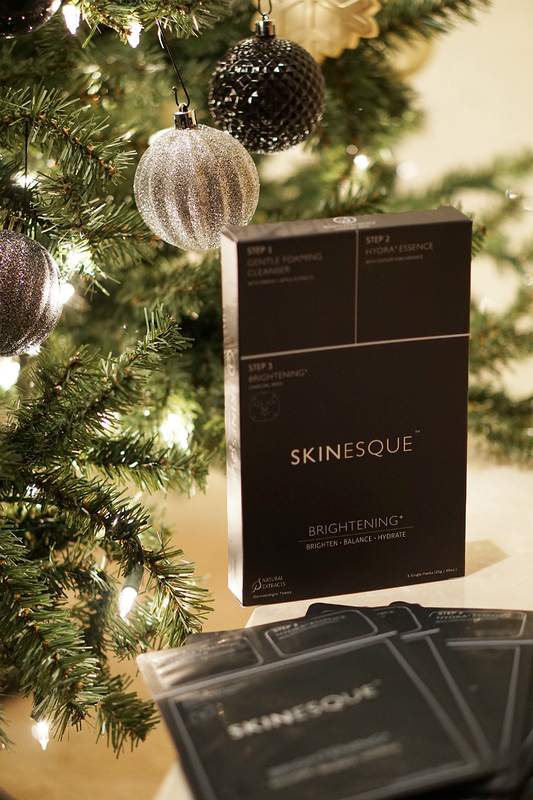 Skinesque 3-Step Brightening & Charcoal Masks ($35): As every beauty lover knows, Korean beauty products are always innovative, using advanced formulas and solutions. This beauty gift is great for any gal who cares about looking her best. This complete Korean beauty facial treatment comes in one easy-to-use mask: Skinesque 3-Step Brightening Charcoal Mask was designed to absorb toxins and deliver essential vitamins to the skin. The result is a clearer, more radiant complexion that’s healthier than ever. Tarte Amazonian Clay 12-hour Blush ($29): If a radiant complexion with a rosy glow evokes the essence of natural beauty, then this 12-hour blush is the way to get this coveted look. 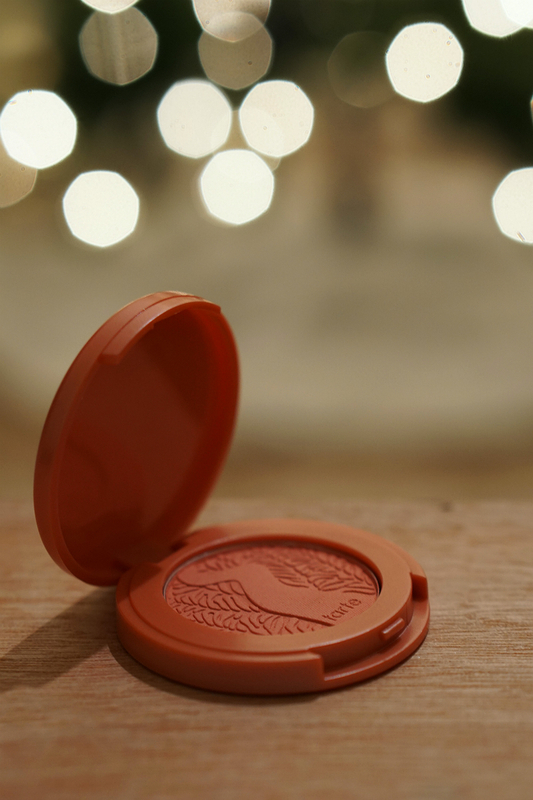 Infused with natural clay harvested from the banks of the Amazon River and naturally baked by the sun, this nutrient-rich blush benefits all skin types for a fade-free flawless finish that lasts an amazing 12 hours. When ladies hit their 40’s, they should switch to anti-aging skin care treatments and makeup products. Whether it’s a flattering eyeshadow duo that creates a flawless finish or an amazing illuminating concealer that covers-up dark circles (while minimizing fine lines), here are some of the best beauty gifts to buy for a woman in her 40’s. 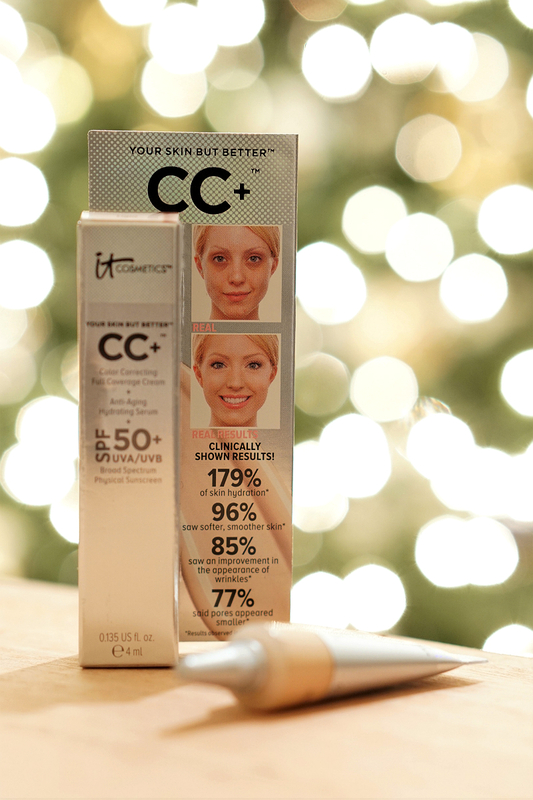 It Cosmetics Your Skin But Better™ CC+™ Cream with SPF 50+ ($38): Winner of the Allure 2017 Readers Choice Awards, this beautifying cc cream not only makes pores appear smaller, it’s also great for covering up dark circles and minimizing the appearance of fine lines and imperfections. With its hydrating, anti-aging formula, this must-have beauty product is a God-send for any gal over 40. 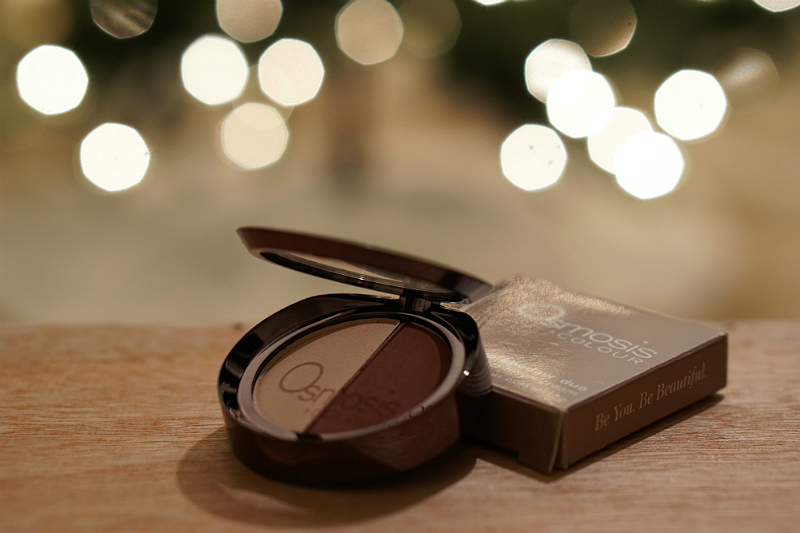 Osmosis Eye Shadow Duo ($27): For a gorgeous look, this luxe eyeshadow duo is a great holiday beauty gift, as it not only adds skin-flattering color to lids, it also lasts for hours without settling into fine lines. This matte eyeshadow duo goes on smoothly, imparting a velvety finish with high impact color, making it great for contouring the eyes. 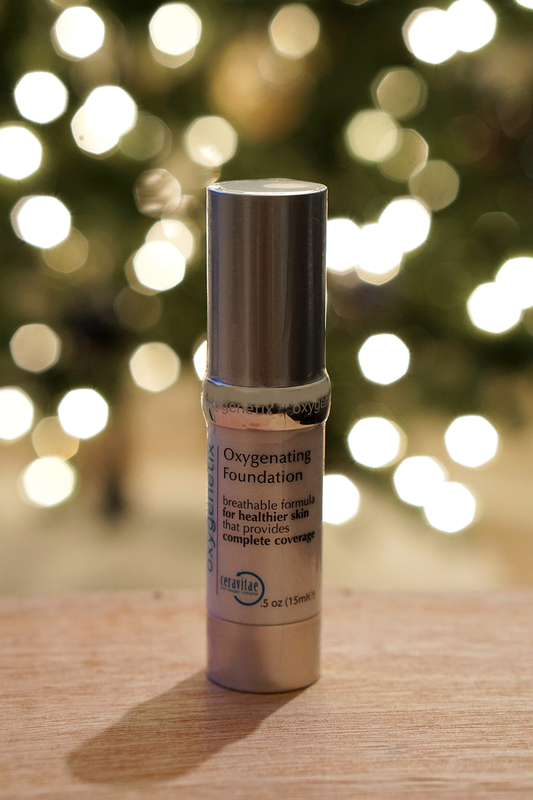 Oxygenetix Oxygenating Foundation ($66): Because skin is the largest organ in the body, it needs to breathe. When makeup is infused with skincare it not only conceals imperfections, it also helps to improve the look and texture of skin. This foundation provides flawless coverage all-day while helping to fight acne-causing bacteria. Plus, the built-in proprietary breathable delivery system enables skin to stay oxygenated, which keeps pores healthy and clear. 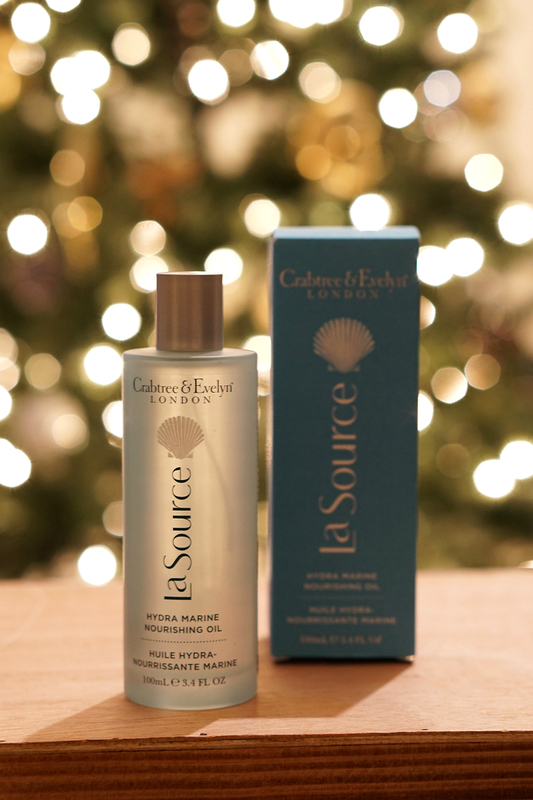 Crabtree & Evelyn La Source Hydra Marine Nourishing Oil ($27): Ideal for the face, body, and hair, this luxurious blend of hydrating Moroccan argan oil, sesame seed oil, and apricot kernel oil leave skin supple and hair satiny soft, while the reparative hydra marine blend of antioxidant-rich green seaweed extract and blue sea lavender nourishes, soothes and conditions. For more holiday gift ideas, check out the 2017 Holiday Gift Guide from Inspirations & Celebrations. Whether you’re shopping for a Glamour Girl, a Globe-Trotting Jetsetter, a Boho Chic Gal, or a Haute Hostess, our holiday gift guide has something for every gal on your list.